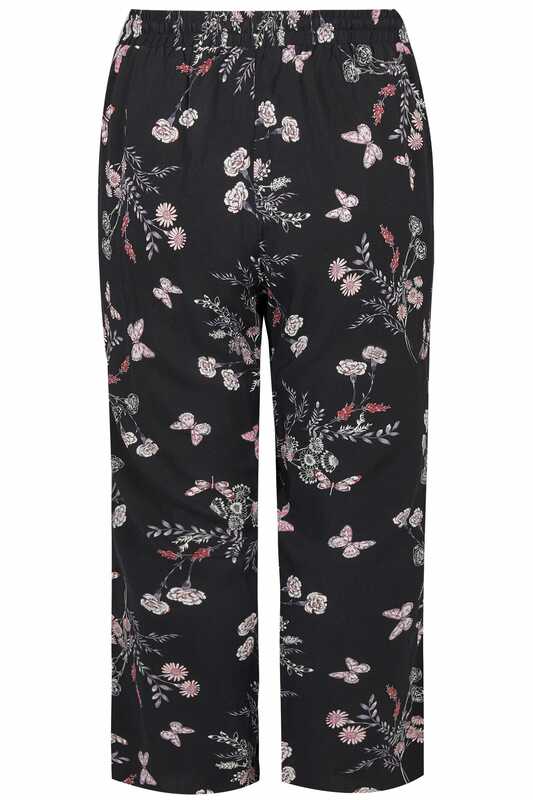 Stay in style this season with this on-trend pair of trousers. 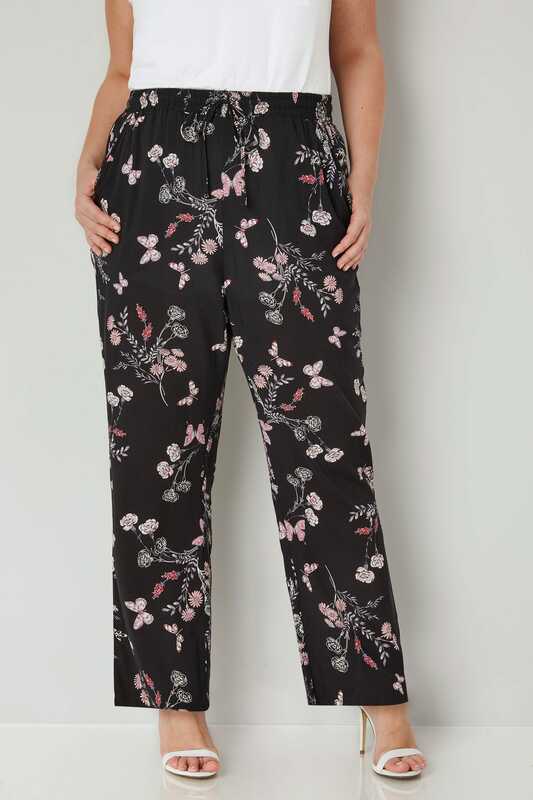 In a wide leg design, they feature two front pockets and an elasticated waistband with an adjustable drawstring fastening for a perfect fit throughout the day. 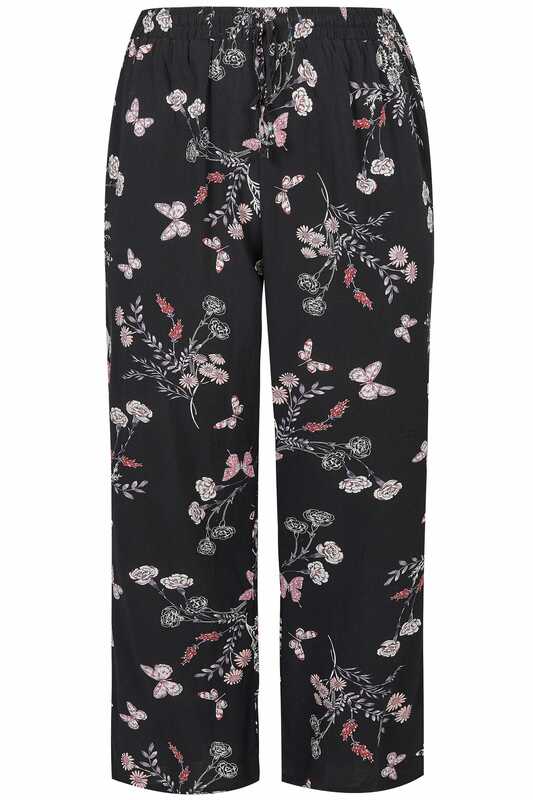 We love the elegant floral and butterfly print - the perfect way to add a touch of colour to your look.